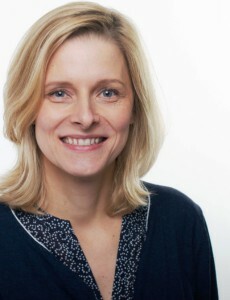 Anke Lipinsky is senior researcher at GESIS-Leibniz Institute for the Social Sciences, Team CEWS. She holds a PhD in Comparative Cultural Studies, University of Regensburg. Anke carried out several mappings of gender equality policies in public research in the EU and policy environment analyses (2012 -2014) and participated in EU-funded projects in FP6, FP7 and Horizon 2020 ENCOUWOMSCI; PLATWOMSCI, GenPORT; INTEGER, and GEECCO 2017-2021. She chaired an EC expert group and carried out an ex-ante impact assessment study to strengthen the role of structural change policies in the European Research Area (2013). Anke currently is member of the advisory boards of SMARTmaps (2015-2018), GenderNetz (2017-2020) and NORDICORE (2017-2021); Visiting Researcher at Northeastern University, Department of Sociology & Anthropology, Boston (US) in Autumn 2018; member of two Horizon 2020 advisory groups "Gender" and "Science with and for Society" and advised the Lithuanian and Italian EU-presidencies in the field of Gender Equality; member of the International Advisory Board of the 7th, 8th, 9th and 10th European Conference on Gender Equality in Higher Education in Bergen 2012, Wien 2014, Paris 2016 and Dublin 2018; Anke is member of the Women in Higher Education Management Network WHEM. Anke's research focuses on impact assessments, evaluation and analysis of policy styles and their implementation in the field of gender and research including research funding in the European Union. She has extensive expertise in policy analysis, evaluation and efficacy assessments in the field of gender and research. She evaluated gender equality plans of universities and research organizations in several countries. Lipinsky, Anke, and Laura Getz. 2017. "Coordination of Gender Equality Policy Resources on Twitter: A Specific Case for Political Communication." General Online Research 2017, 15-17 March 2017, 15.03.2017. Lipinsky, Anke, Anne Pepin, Andrea Dumitrascu, Eileen Drew, and Claire Marshall. 2013. "Driving Research Excellence through Transformational Gender Action Plans." Lipinsky, Anke, and Angela Wroblewski. 2018. "Evaluation of Gender Equality Policy: Its potential Impact in Times of Impact Orientation and Monitoring." 10th European Conference on Gender Equality in Higher Education, 21.08.2018. https://genderequalityconference2018.com/. Lipinsky, Anke. 2018. "What can Universities do against Implicit Bias? : Panel Discussion." Implicit bias in Academia: A Challenge to the meritocratic Principle and to Women's Careers - and what to do about it (Second LERU Gender Conference), 15.06.2018. https://www.gleichstellung.uzh.ch/de/veranstaltungen/leru_conference.html. Lipinsky, Anke. 2018. "Wirkungssteuerung und Geschlechtergerechtigkeit in der europäischen Wissenschaftspolitik." Wirkungsorientierung und Evaluation. 21. Jahrestagung der DeGEval - Gesellschaft für Evaluation, 14.09.2018. https://www.degeval.org/veranstaltungen/jahrestagungen/dresden-2018/. Getz, Laura, and Anke Lipinsky. 2017. "(Poster) Coordination of Gender Equality Policy Resources on Twitter: A Specific Case for Political Communication." 19th General Online Research Conference by the German Society for Online Research, 16.03.2017. Lipinsky, Anke, and Kathrin Zippel. 2017. "Fitting in Diversity and Gender Politics: Empirical Findings from Transformation Plans of German Universities." 112th Annual Meeting, American Sociological Association, 14.08.2017. Lipinsky, Anke, and Randi Wallmichrath. 2017. "Im Verbund zum Ziel: Europäische Förderung der Gleichstellung an Hochschulen." Grenzgänge. Internationalisierung im Kontext von Hochschule und Geschlechterpolitik, BuKoF Jahrestagung, 21.09.2017. Lipinsky, Anke, and Andrea Löther. 2016. "Evidence does (not) tell. Behind the scenes of monitoring data." 9th European Conference on Gender Equality in Higher Education and Research, 13.09.2016. Lipinsky, Anke. 2016. "Gender Equality Policies and Practices in the European Research Area." Gender Equality in STEMM: The Future is Bright, 11.10.2016. Lipinsky, Anke, and Laura Getz. 2016. "Policy Learning through a Gender Equality Online Platform." Gender Summit Europe, 09.11.2016. Lipinsky, Anke. 2016. "Promotion of gender equality in European research Policy: Comment." 9th European Conference on Gender Equality in Higher Education and Research, 12.09.2016. Lipinsky, Anke. 2015. "Histories and Futures of Gender (In)Equalities in European Research Policy-Making." New Challenges for the Evaluation of Science and Research: Political Goals, Theory and Methodological Challenges, 11.06.2015. Lipinsky, Anke. 2014. "'Transformations' through Gender Equality Policies, Plans and Programmes: Lessons Learned." Science, Innovation and Society: Achieving Responsible Research and Innovation, 20.11.2014. Pepin, Anne, Jeanne Collin, Maria Teresa Pontois, Eileen Drew, Claire Marshall, Virginija Šidlauskienė, Gintautas Jazdauskas, Anke Lipinsky, Andrea Löther, and Maria Schäfer. 2014. "Fostering gender equality in research institutions through transformational-gender action plans." 8th European Conference on Gender Equality in Higher Education. https://gender2014.conf.tuwien.ac.at/fileadmin/t/gender2014/Full_Papers/Pepin_et_al_Vienna_2014-full-paper-INTEGER_Real_FINAL.pdf. Lipinsky, Anke. 2014. "Gender Equality Policies in Public Research - Tools and Trends." Promoting Gender Equality in Research - the Genis-LAB Experience, 12.12.2014. Lipinsky, Anke. 2014. "The Gendered Organisation as Narrative - Patterns of Appropriation, Justification and Renunciation of Gender Equality Action during Evaluations." 8th European Conference on Gender Equality in Higher Education, 05.09.2014. Lipinsky, Anke. 2013. "Charta und Code für mehr Geschlechtergerechtigkeit im Europäischen Forschungsraum?." 7. Wissenschaftskonferenz der GEW "Aufstieg oder Ausstieg? Wissenschaft zwischen Doktorhut und Katheder". Lipinsky, Anke. 2013. "Ergebnisse und Empfehlungen der Studie „Consideration of Gender Aspects in EU-funded Research Projects in Germany“." Chancengleichheit in der EU-Forschungsförderung. Lipinsky, Anke. 2013. "Following up activities towards sustainable changes in research institutions and universities: Integrating the Gender Dimension in Research." International Conference of the Lithuanian Presidency on Structural Change promoting Gender Equality in Research and Innovation. Lipinsky, Anke. 2013. "Results of the survey on the „Implementation of Gender Equality Policies in Public Research in the European Research Area." 29th Meeting of the Helsinki Group on Gender and Research and Innovation..
Lipinsky, Anke. 2012. "Experiences from EU Projects." 7th European Conference on Gender Equality in Higher Education. https://www.uib.no/filearchive/gender2012_programme.pdf. Lipinsky, Anke. 2012. "Wie wichtig wird Geschlechtergerechtigkeit in der EU-Forschungsförderung?." Frühjahrstreffen der EU-ReferentInnen der Helmholtz-Gemeinschaft. Lipinsky, Anke. 2011. "Die Strategie "Structural Change" der Europäischen Kommission zur Verbesserung der Geschlechtergerechtigkeit in der Praxis." Quo vadis Gender in der europäischen Forschungsförderung? : Tagung organisiert durch das EU-Büro des BMBF. Lipinsky, Anke. 2011. "Wissenschaftlerinnen in der europäischen Forschung und im 7. FRP: Chancengleichheit als Anliegen der Europäischen Kommission?." Sonderveranstaltung der Kontaktstelle Frauen in die EU-Forschung: Postdoktorandinnen der Sozial-, Wirtschafts- und Geisteswissenschaften auf dem Weg nach Europa - Studienfahrt Brüssel. Lipinsky, Anke. 2010. "Das Prädikat Total-E-Quality, Grenzen und Chancen bei der Einführung." 12. Jahrestagung Chancengleichheit der Leibniz-Gemeinschaft. Lipinsky, Anke. 2010. "Encouragement to Advance." ELDers meeting - Experts in Leadership Development for Women in Scientific Fields. Lipinsky, Anke. 2010. "Introduction Center of Excellence Women in Science CEWS." EU- and networking information days. Lipinsky, Anke. 2010. "ITN Fellows Workshop "Networking in Science"." EU- and Networking Information Day. Lipinsky, Anke. 2010. "Präsentation der Aufgaben und Dienstleistungen der GESIS, Team CEWS: The Center of Excellence Women in Science CEWS." ITN Fellows Workshop: EU- and Networking Information Day. Lipinsky, Anke. 2010. "Präsentationen und Fachgespräch: Das Total-E-Quality Prädikat." Runder Tisch zu Total-E-Quality und Audit der Universität Regensburg, Studentenwerk Niederbayern, Universitätsklinikum Regensburg. Lipinsky, Anke. 2009. "Awarding institutions moving towards gender equality - policy perspectives." 6th European Conference on Gender Equality in Higher Education. Lipinsky, Anke. 2009. "Encouragement to Advance - Championing Mobile Female Post-Doc Scientists with International Career Outlooks: "Awarding institutions moving towards gender equality - policy perspectives"." 6th Conference on Gender Equality in Higher Education: "Changing the Gender Order". Lipinsky, Anke. 2009. "Encouragement to Advance: championing mobile female postdoc scientists with international career outlooks." 6th European Conference on Gender Equality in Higher Education. Lipinsky, Anke. 2009. "The Center of Excellence Women and Science CEWS." Kick-Off: Initial Training Network - Language, Cognition, Gender. Lipinsky, Anke. 2009. "Transitioning to professorship - career decisions on mobility at the postdoc level." 2nd International PROMETEA Conference. Lipinsky, Anke. 2008. "Encouragement to Advance - Training Seminars for Women Scientists." Mentoring women shaping science - EPWS annual conference 2008. Lipinsky, Anke. 2008. "Encouragement to Advance: evolution of a national career-support programme to an international programme for female senior researchers." Building on Success, 12th CCWESTT 2008. http://www.ccwestt.org/. Lipinsky, Anke, and Lenna Cumberbatch. 2017. "Explaining Implicit Gender Bias to Evaluators: How to address Implicit Gender Biases in Horizon 2020." Implicit Gender Biases During Evaluations: How to Raise Awareness and Change Attitudes, 30.05.2017. http://ec.europa.eu/research/swafs/pdf/pub_gender_equality/report_on_implicit_gender_biases_during_evaluations.pdf. Lipinsky, Anke, and Kathrin Zippel. 2017. "Fitting Diversity as Internationalization into Gender Equality Plans in German Universities." Doing Science – Doing Excellence – Doing Inequalities? Interrogating the Paradigm of Excellence in Academia, 09.11.2017. Lipinsky, Anke. 2017. "Geschlecht und Gleichstellung in der europäischen Wissenschaftspolitik." 72. Sitzung der GFMK-AG Frauenförderung im Bereich Wissenschaft. Lipinsky, Anke. 2016. "Diversity- und Gleichstellungspolitik." Hochschulische Gleichstellungspolitik der Zukunft?, 22.01.2016. Lipinsky, Anke. 2016. "Wissenstransfer und Geschlecht: Voraussetzungen und Herausforderungen." Think Tank: Gender | Wissen | Transfer, 08.06.2016. Lipinsky, Anke. 2015. "External Evaluation of Transformational Gender Action Plans. The Role of Contextual Factors and Indicators." European Commission DG RTD Evaluator's Convent Workshop. Lipinsky, Anke. 2015. "Guiding and Supporting the Assessment of Gender Action Plans - The INTEGER Self-Assessment Toolkit." Final INTEGER Symposium, 26.06.2015. Lipinsky, Anke, Anne Pepin, Jeanne Collin, and Maria Schäfer. 2015. "Poster on Driving Research Excellence through Transformational Gender Action Plans." Gender Summit Africa, Capetown. Lipinsky, Anke. 2015. "Results of the Analysis of Policy Environments." GenPORT Portal Advisory Group Meeting, 27.04.2015. Lipinsky, Anke. 2015. "The INTEGER Evaluation Toolkit." INTEGER Exchange of Experience Seminar, 29.03.2015. Lipinsky, Anke. 2014. "External Evaluation of the Transformational Gender Action Plan of Siauliai University: Preliminary Findings." 12.05.2014. Lipinsky, Anke. 2014. "External Evaluation of the Transformational Gender Action Plans of TCD, CNRS and SU: Evaluation Findings and Preliminary Recommendations." INTEGER Partnership Group Meeting, 13.05.2014. Lipinsky, Anke. 2014. "The Report on Gender Equality Policies in Public Research: Based on a Survey of the 'Helsinki Group on Gender in Research and Innovation'." Gender-NET (ERA-NET) General Assembly, 27.03.2014. Lipinsky, Anke, and Kathrin Samjeske. 2012. "Berücksichtigung von Gleichstellungsaspekten bei EU-geförderten Forschungsvorhaben aus Deutschland: Ergebnispräsentation." EU-Büro des BMBF. Lipinsky, Anke. 2012. "Contexts of gender equality policy implementation in public research in ERA." Meeting of the Helsinki Group on Women in Science. Lipinsky, Anke. 2015. Richtig rauchen: zur medikalen Logik und kulturellen Praxis des Zigarettenrauchens. Regensburger Schriften zur Volkskunde/Vergleichenden Kulturwissenschaft 27. Münster: Waxmann. Lipinsky, Anke. 2014. Gender Equality Policies in Public Research. European Union Publications Office. doi: http://dx.doi.org/10.2777/65956. http://ec.europa.eu/research/pdf/199627_2014%202971_rtd_report.pdf. Lipinsky, Anke, and Kathrin Samjeske. 2012. Berücksichtigung von Gleichstellungsaspekten bei EU-geförderten Forschungsvorhaben aus Deutschland: Abschlussbericht. CEWS-Projektberichte 2012/04. Mannheim: GESIS. http://www.eubuero.de/_media/FiF/CEWS-Projektberichte_2012-04_BF.pdf. Lipinsky, Anke, ed. 2009. Encouragement to advance - supporting women in European scientific careers. CEWS Beiträge Frauen in Wissenschaft und Forschung 5. Bielefeld: Kleine. http://www.gesis.org/cews/fileadmin/cews/www/download/cews-beitraege5.pdf. Wroblewski, Angela, and Anke Lipinsky. 2018. "Steering by Evaluation in Times of Impact Orientation and Monitoring?." fteval: Journal for Research and Technology Policy Evaluation (45): 22-27. urn: http://irihs.ihs.ac.at/4836/. https://www.fteval.at/content/home/journal/aktuelles/ausgabe_45/fteval_Journal45_WEB.pdf. Lipinsky, Anke. 2015. "Geschlechtergerechtigkeit in der europäischen Wissenschaftspolitik – Einführung, Konsolidierung und neuere Entwicklungen." Femina Politica. Zeitschrift für Feministische Politikwissenschaft 24 (2): 140-145. Kunadt, Susann, Anke Lipinsky, Andrea Löther, Nina Steinweg, and Lina Vollmer. 2014. "Gender in der Hochschulforschung : Status Quo und Perspektiven." Die Hochschule : Journal für Wissenschaft und Bildung 23 (1): 93-104. doi: http://dx.doi.org/1618-9671. urn: http://nbn-resolving.de/urn:nbn:de:0168-ssoar-389347. Lipinsky, Anke. 2011. "Rezension von Maurer, Elisabeth: Fragile Freundschaften. Networking und Gender in der wissenschaftlichen Nachwuchsförderung." Gender : Zeitschrift für Geschlecht, Kultur und Gesellschaft 3 (3): 167-170. Lipinsky, Anke. 2008. "Championing women in Europe's scientific fields." eStrategies Projects magazine 24-25. Lipinsky, Anke. 2017. "Gleichstellungsziele im deutschen Wissenschaftssystem zwischen Frauenförderung, Gender Mainstreaming, Anti-Diskriminierung, Diversität und Intersektionalität." In Soziale Geschlechtergerechtigkeit in Wissenschaft und Forschung, edited by Jennifer Dahmen, and Anita Thaler, 23-38. Leverkusen Opladen: Budrich. https://shop.budrich-academic.de/produkt/soziale-geschlechtergerechtigkeit-in-wissenschaft-und-forschung/?v=3a52f3c22ed6. Lipinsky, Anke, and Andrea Löther. 2016. "Geschlecht und Gleichstellung in der Wissenschaft im europäischen Vergleich – Policies und statistische Daten." In Chancengleichheit in Wissenschaft und Forschung, edited by GWK Gemeinsame Wissenschaftskonferenz, Chancengleichheit in Wissenschaft und Forschung 20. Fortschreibung. https://www.gwk-bonn.de/fileadmin/Redaktion/Dokumente/Papers/GWK-Heft-50-Chancengleichheit.pdf. Lipinsky, Anke, and Maria Schäfer. 2015. "Evaluation von Gleichstellungsplänen in Europa - Indikatoren im Praxistest." In Gender- und Diversity-Management in der Forschung: Stuttgart, 7. und 8. Mai 2015, Konferenzband, edited by Michaela Klemisch, Anne Spitzley, and Jürgen Wilke, 81-91. Stuttgart: Fraunhofer Verlag. Lipinsky, Anke. 2014. "Geschlechtergerechtigkeit im Europäischen Forschungsraum – Die Europäische Charta und der Verhaltenskodex auf dem Prüfstand." In Aufstieg oder Ausstieg? Wissenschaft zwischen Promotion und Professur, GEW-Materialien aus Hochschule und Forschung 122, 89-94. Lipinsky, Anke. 2012. "Transitioning to professorship - career decisions on mobility at the postdoc level." In The scientific and technological careers for women and men : private temporalities, professional temporalities; public and corporate policies, edited by André Béraud, and Yvonne Pourrat, 137-147. Paris: Sense Publ..
Lipinsky, Anke, and Silke Tölle. 2009. "Appointment-related career promotion at the European level: the European project 'Encouragement to advance - training seminars for women scientists'." In Encouragement to advance - supporting women in European scientific careers, edited by Anke Lipinsky, 47-57. Bielefeld: Kleine. Lipinsky, Anke. 2009. "Championing women in Europe's science? :: Evaluation of the European career support program 'Encouragement to advance - supporting women in European scientific careers'." In Encouragement to advance - supporting women in European scientific careers, edited by Anke Lipinsky, 73-100. Bielefeld: Kleine. Lipinsky, Anke, Gesine Ahlzweig, Laura Getz, and Nina Steinweg. 2015. Analysis of Policy Environments. http://www.genderportal.eu/sites/default/files/resource_pool/GenPORT_analysis%20of%20policy%20environments%20report_0.pdf. Lipinsky, Anke, Maria Schäfer, and Gesine Ahlzweig. 2015. Final Evaluation Report for Siauliai University. CEWS Project Report 2015-02. Lipinsky, Anke, Maria Schäfer, and Gesine Ahlzweig. 2015. Final Evaluation Report for the Centre National de la Recherche Scinetifique (CNRS). CEWS Project Reports 2015-01. Lipinsky, Anke, Maria Schäfer, and Gesine Ahlzweig. 2015. Final Evaluation Report for Trinity College Dublin. CEWS Project Report 2015-03. Lipinsky, Anke, Jutta Dalhoff, Andrea Löther, and Nina Steinweg. 2015. Wissenschaftskultur und Wissenschaftspolitik. Eine Bestandsaufnahme im Herbst 2015. CEWSJournal 100. Lipinsky, Anke, Andrea Löther, and Maria Schäfer. 2014. Central Evaluation Report for Trinity College Dublin: Institutional Transformation for Effecting Gender Equality in Research. CEWS Project Reports 2014-02. http://naturalscience.tcd.ie/equality/GESISCentralEvaluation%20ReportTCD06-2014.pdf. Lipinsky, Anke, and Kathrin Samjeske. 2012. Consideration of gender aspects in EU-funded research projects in Germany: Final report. CEWS project report ; 2012 / 4. Köln: GESIS. http://www.eubuero.de/_media/FiF/CEWS-Projektberichte_2012-04_BF_EN.pdf. Lipinsky, Anke, and Maria Schäfer. 2014. "Grenzübergreifende Zusammenarbeit für geschlechtergerechtere Hochschulen und Forschungseinrichtungen: das EU-Projekt INTEGER." CEWS-Journal 96, 42-46. Lipinsky, Anke, Jack Stilgoe, John Goddard, Claudia Neubauer, and Wolfgang Mackiewicz. 2014. "Rome Declaration on Responsible Research and Innovation in Europe." https://ec.europa.eu/research/swafs/pdf/rome_declaration_RRI_final_21_November.pdf. Lipinsky, Anke, Andrea Löther, and Maria Schäfer. 2014. "Central Evaluation Report for Šiauliai University: Institutional Transformation for Effecting Gender Equality in Research." Anzahl: 1. Lipinsky, Anke, Andrea Löther, and Maria Schäfer. 2014. "Central evaluation report for the Centre National de la Recherche Scientifique (CNRS): institutional transformation for effecting gender equality in research." Anzahl: 1. Lipinsky, Anke. 2011. "Chancengerechtigkeit in der Wissenschaft – politische und praxisorientierte Perspektiven." Lipinsky, Anke. 2016. "Acting against Gender Inequalities in Academia." Lipinsky, Anke. 2013. "What’s the Matter with Mainstreaming? : New Policies for old Gaps or new Gaps in new Practices?." Lipinsky, Anke. 2019. "Seminar Evaluation of Gender Equality Policies: as part of the Horizon 2020-project GENDERACTION." 07.03.2019 - 07.03.2019. – Diversität – Familienfreundlichkeit." Hannover, 22.01.2016 - 22.01.2016. Lipinsky, Anke. 2015. "Reality Check Workshop: INTEGER Stakeholder Workshops I & II." Köln, 09.04.2015 - 21.04.2015. Lipinsky, Anke. 2014. "Gender Bias in Evaluation and Merrit Assessment ." GenPORT: Knowledge Sharing Workshop, Brüssel, 02.07.2014. Lipinsky, Anke. 2012. "Gender mainstreaming in universities: challenges and successes." 7th European Conference on Gender Equality in Higher Education, Bergen. https://www.uib.no/filearchive/gender2012_programme.pdf. Lipinsky, Anke. 2015. Fostering gender equality in research institutions through transformational-gender action plans. Lipinsky, Anke. 2013. Lettland schlägt Deutschland - Chancengleichheit in Osteuropa : Interview mit A. Lipinsky. http://www.academics.de/wissenschaft/lettland_schlaegt_deutschland_56198.html?wt_cc1=Artikel.Lettland_schl_gt_Deutschland&wt_mc=academics_de.extern.newsletter.academics.luf.academics.selektion.2013-08-22&c=271369&si=cVTcbd3SiI7pVECds9ANAHSy1C7LYKPDwLszRq8neOixvK7EqJ36SZrguTuyCsY5Xj7qt5WeMyJ6MBrcIQ. Lipinsky, Anke. 2009. Poster: CEWS - Targets, Strategies and Services.